A well-crafted cold email is one of the most powerful weapons a marketer should have in his or her arsenal. Cold emails are all about getting responses from your prospects and turning them into clients. 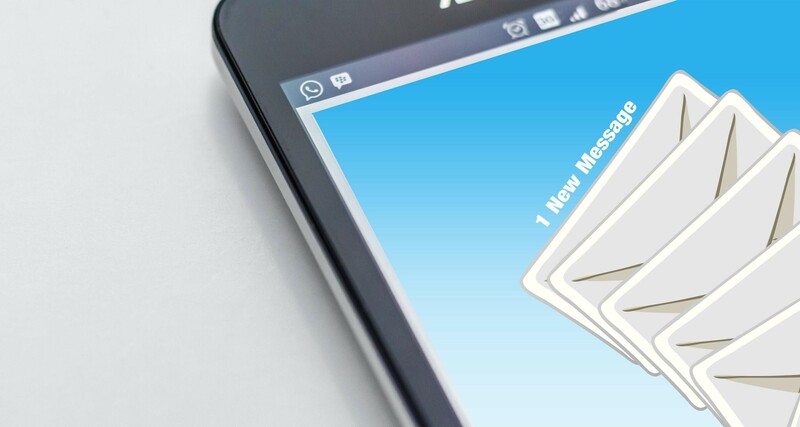 If you aren’t satisfied with the response rate for your current cold email campaign then here are 7 cold email tips that will definitely increase your response rate. In the age of the internet, the average attention span of an individual has gone down. The average span of a user is nearly 8 seconds, according to this report. This means you have nearly 8 seconds to grab the attention of your prospect, otherwise, they will ignore your email entirely. If the main point of your email is buried in long paragraphs then you can be quite sure that your email is going into the trash. You need to capture and pique their interest as quickly as possible. Start with something interesting and get to the point without beating around the bush. So, if you want your prospects to respond to your email, or even read your email then you need to write short and sweet pitches. This is going to make or break your entire cold emailing campaign. If your subject lines are weak then you won’t be getting any opens, let alone responses from your prospects. A boring subject line or worse a spammy one will get your email directly to the trash bin without a second look. Your subject line should be attractive. It can be a question, “Hey, Need your input on X?”, or address the recipient with their name, “Hey John! I’d like your valuable advice”, or something else that connects with the user and makes them want to open it. Think about what kind of subject lines work on you and which ones don’t. Only then you should craft a subject line for your cold emails. It’s mostly trial and error, so try out different subject lines to see which one bring you a better response rate. Learn how to convert your current email subscribers into customers! This one is important. In your pitch, you should demonstrate that you have a complete understanding of their current situations. What they do, what they offer, and what are their pain points. It’s a great way to show your knowledge and connect with your prospects. Once you show them your knowledge, only then can you offer them the solutions that you provide. Make sure that these solutions only talk about them. How these solutions will improve and benefit their current situation. Never talk about yourself or boast about your services. You can’t expect to get a response when you send the same pitch as everyone else out there. You need to come up with a unique approach that is better than the crowd. You need to rise above the noise and curate your email in a way that grabs their attention and looks entirely different from other cold approaches. If you follow all the points in this article then you will definitely get to the point where your pitches sound quite unique and grab the readers attention quickly. Don’t follow the same pattern for all your emails, think outside the box and be creative with your email content and subject lines, just don’t overdo it. This is a cold email, not an essay or a blog article. You are better off sending a simple and straightforward message without any flashy template or over-the-top formatting. Put yourself in the shoes of your readers and understand what they’d like to see. If you go overboard with the formatting then your email will look rather spammy and will be ignored. Your recipients are human too. So, approach them with a simple-looking email that gets your message across. You should not use or alter any fonts or colors. Your email should look and read as human as possible. Leave the formatting and colors to all the spam emails out there. However, one thing you should add to your email format is a professional signature. If you haven’t already added one, then you need to do so as quickly as possible. Your signature should include your name, job title, phone, email, company’s name, and website. You can also include your company logo to make it even more attractive. Not all of your first cold emails will get a response, it’s a reality that you will have to accept. You will not be able to get a 100% response rate with all your emails, so you need to understand that follow-up is a crucial element to further increase your response rate. A follow-up email will help boost your response rate and could possibly land you a new client. What good is an email, if the readers don’t know what to do? If you send a perfectly fine cold email, but it doesn’t include even a single Call-to-action then most probably there will be no response. That’s because the recipient wouldn’t know what steps to take. So, ensure that all your emails have one Call-to-action. You need to tell them what to do, it could be anything from replying with an OK or setting up a meeting/phone call. Your emails need to provide them with the necessary actions they need to take otherwise they will just ignore it like hundreds of other cold emails. 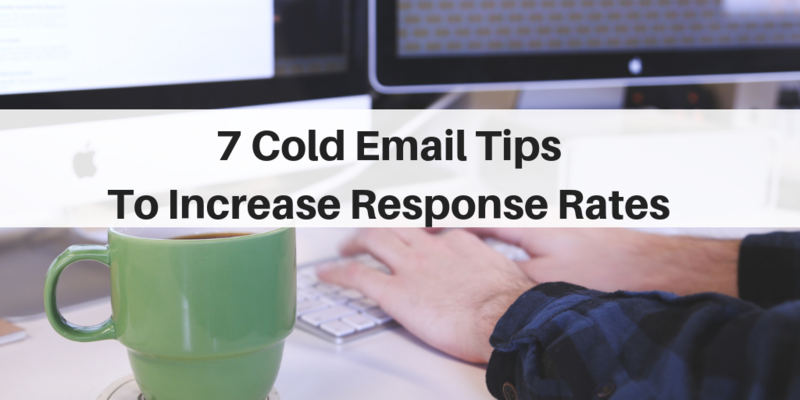 Did you enjoy these cold email tips? You need to understand that writing emails are not rocket science. There are no formulas or guaranteed methods that get you 100% response rate. It’s mostly about trial and error to figure out that sweet spot. However, if you are not getting the response rate that you want then applying the above-mention methods will definitely improve your response rate.